Victoria-bred, Vancouver-based foursome Hot Hot Heat are getting ready to say their grand goodbye this summer via the release of their final, self-titled album. Ahead of this, they're giving fans a peek at the process of making their "Kid Who Stays in the Picture" single with a behind-the-scenes music video. 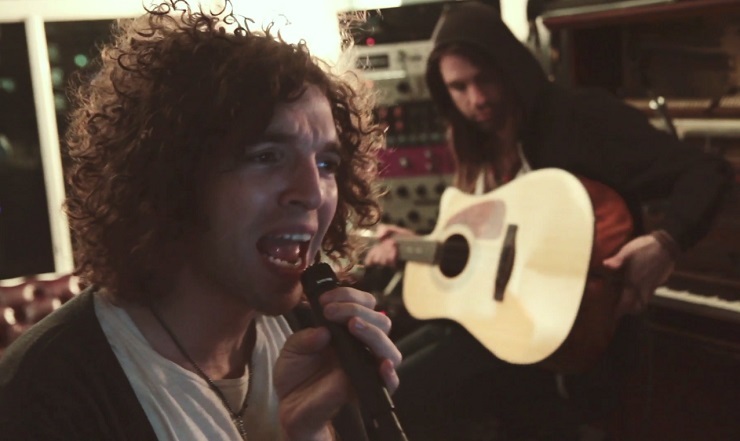 The smooth but peppy pop rock cut is accompanied by Jashua Grafstein's visuals of the band's Steve Bays, Paul Hawley, Parker Bossley and Luke Paquin getting into the groove in the recording studio. Some scenes find them jamming, while some scenes have them goofing around. Also on hand is album producer Ryan Dahle, as well as Bays' outright adorable pooch, Rigby. You'll find the full Hot Hot Heat crew palling around for, it would, one of the last times down below. Hot Hot Heat, the album, is due out on June 24 through Culvert Music.